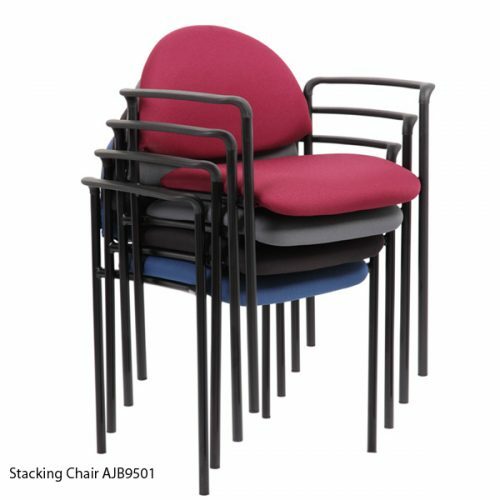 Stackable chairs are useful for their convenience and easy storage. 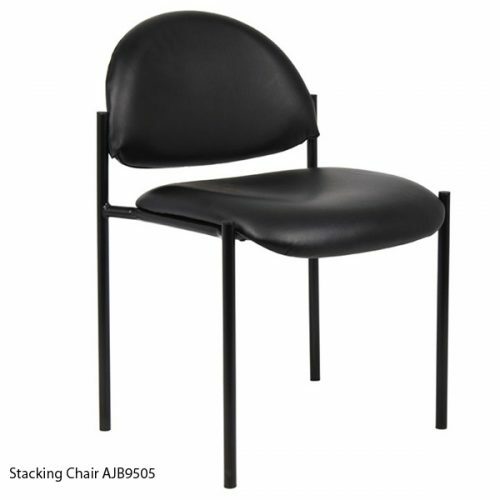 At Ajax Business Interiors, we have a large inventory of stack chairs available for some of the lowest prices you’ll find. 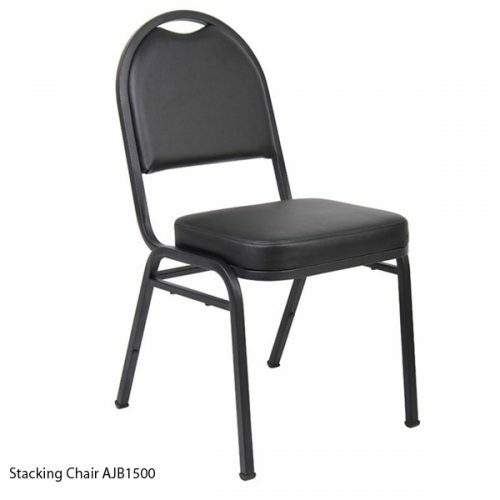 No matter how many stackable chairs you need, we have them in stock and ready for you to purchase. 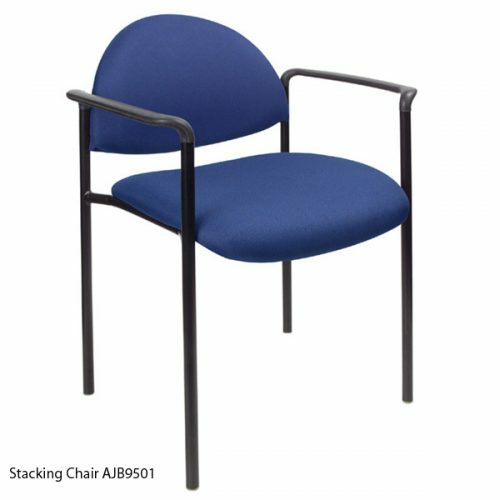 To find out more about Ajax Business Interiors and the stackable chairs we can provide for your business or organization, please give us a call today. Or, if you prefer, simply stop by our 25,000-square-foot showroom / warehouse in Clearwater to see the furniture that we have available up close and in person. No matter if you’re located in Bradenton, Sarasota, Miami, Jacksonville, Orlando, Ft. Myers, or Brandon, Ajax will gladly provide the office furniture you need at prices that can’t be beat. Stackable Chair with molded arms Waterfall seat, Fabric colors Blue, Black, Burgundy, Grey. Stacks 4 high. Armless Stackable Chair Waterfall seat, Fabric colors Blue, Black, Burgundy, Grey and black vinyl. Stacks 4 high. AJB1500 Sold in packs of 4. 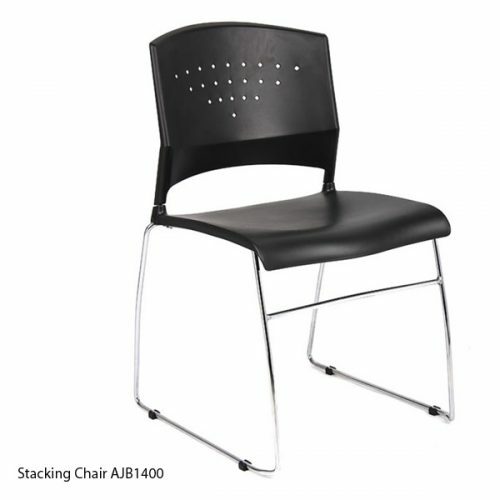 Stack chair, steel frame, black fabric or vinyl. Stacks 16 high. Stack Chair, Chrome frame. Stacks 5 high alone or 16 high with dolly. Ganging clamp option available. 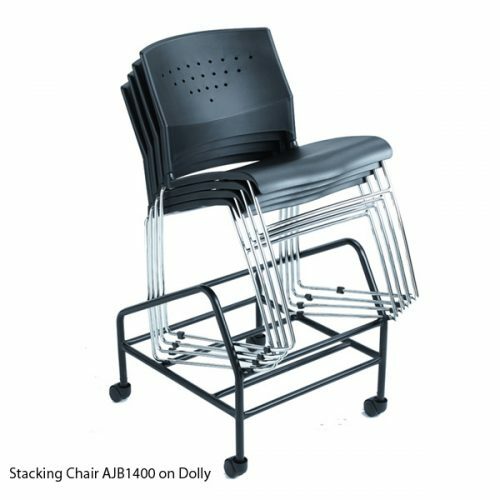 Dolly for AJB1400 Stack Chair. We also sell much more than just chairs. We sell all types of quality office furniture, including desks, conference room tables, cubicles, and much more. We can even relocate your business and liquidate your old office furniture, if you have a need to do so.